Two more Christian sewerage workers have died in Pakistan while opening a clogged sewerage line without protective gear. 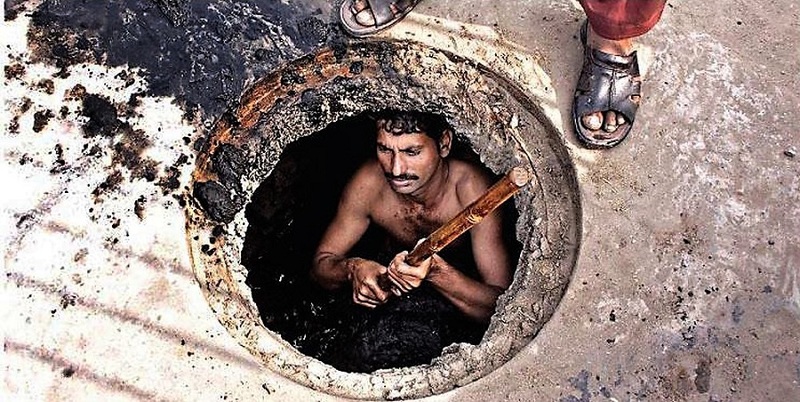 Data collected by World Watch Monitor in 2013 showed that, despite Pakistani Christians comprising only 1.5 per cent of the population, they account for more than 80 per cent of the sewerage and street cleaning workforce. In January, a Christian man died in Karachi when he was cleaning a gutter. This latest incident took place in one of most neglected districts of Punjab, Bahawalnagar, on Wednesday, May 23. “First Saqib went down and opened one side of the clogged pipeline. But as soon the line was cleared poisonous gases in the pipeline for months started leaking into the gutter and Saqib quickly fell unconscious. Saqib was not an employee. He received 500 Pakistani rupees (less than $US 5) for 12 hours’ work. Mushtaq had retired from this job a few months ago, but had filed a lawsuit for his remaining salary and a gratuity, so he was still called in for work on a daily basis. “After the two were declared dead, we held a protest and the civil administration assured us of support. The protest ended after the civil administration negotiated. They then arranged for the funerals and also provided 250,000 Pakistani rupees (c. US $2,170). We are struggling to ensure that now the bereaved families be given a pension as their children are still young,” said Rashid. District representative Sajan Bhatiya told World Watch Monitor by phone that the newly-laid sewerage line had not officially started operating, but people had started to throw dirty water into it, clogging it up. In June last year, a Christian cleaner died after falling unconscious in a gutter, and then, after he was taken to hospital, doctors refused to touch him because they were fasting and were not willing to touch a man smeared with sewage. Workers in this hazardous profession, without protective gear, suffer many chronic illnesses. Hundreds are reported to have died while cleaning gutters because, once a blockage is removed, gas in underground pipelines rushes into the manhole; it attacks the nervous system and causes paralysis.